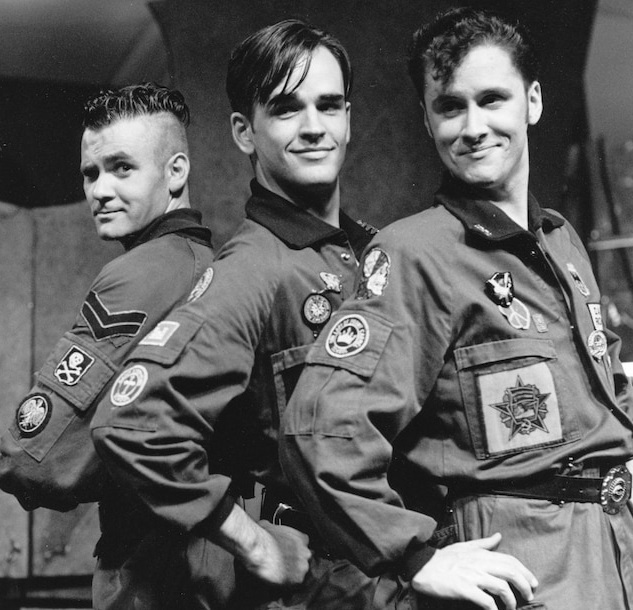 Paul McDermott, Tim Ferguson, Richard Fidler = DAAS. For those in Australia, there is a DAAS documentary Tick F***ing Tock you may have missed on ABC iview. I grew up watching The Doug Anthony Allstars AKA DAAS. They were the perfect thing in my teenage angst years. They swore. They shocked. They caused outrage. They said things which probably should not be said. Loads of swear words. At some point they broke up and many of us who were fans were upset by this news. We did not know why – it turns out only Tim knew why – he had been diagnosed with MS and he did not tell Paul and Richard. The first part of the documentary revisits the DAAS early years and gives you a tiny hint of some of the comedy they performed. Right at the end of that first episode, Paul says something which had me in tears and I knew that second episode was going to be a tough watch. I was right. Having said that, there are so many excellent things said in that second episode, it is worth watching. Tim bravely shares some of his current daily life with us. If you were ever a fan, or you need something to kick you in the rear with inspiration, this is a documentary you should see. Will have to look them up. I’ve never f***ing heard of them. ? Yes we enjoyed watching this program as well.